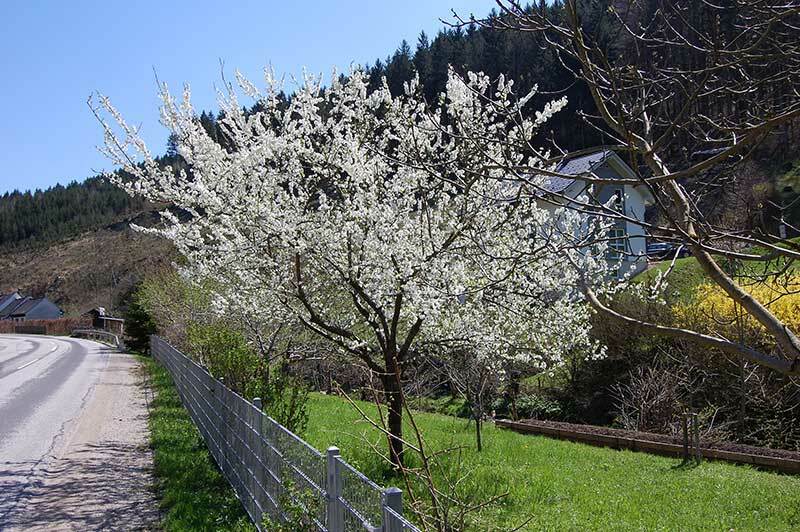 The thousands of fruit trees blossoming are one of many springtime highlights in Austria. 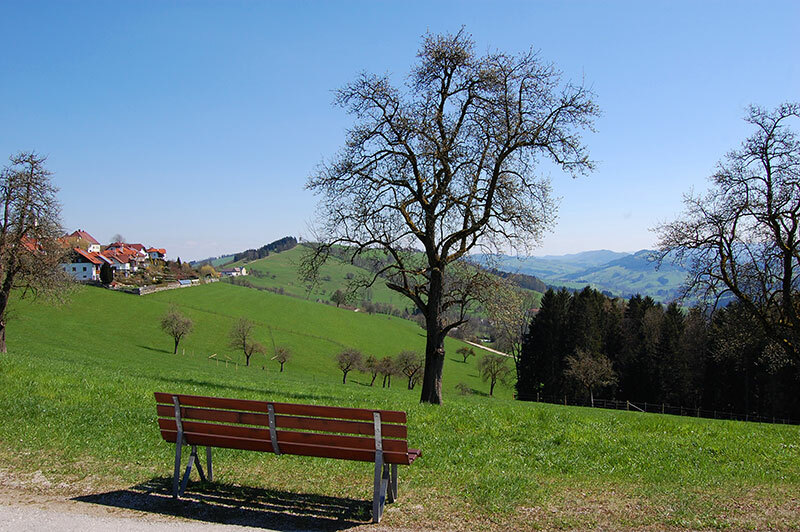 A great place to see this wonderful natural spectacle is the Mostviertel region. 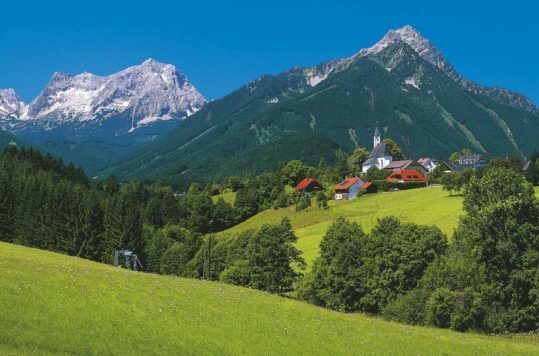 The Mostviertel region in the south-eastern part of Lower Austria, offers a wide range of activities and is an all-year travel destination. Notwithstanding, I especially love travelling in the region early springtime. 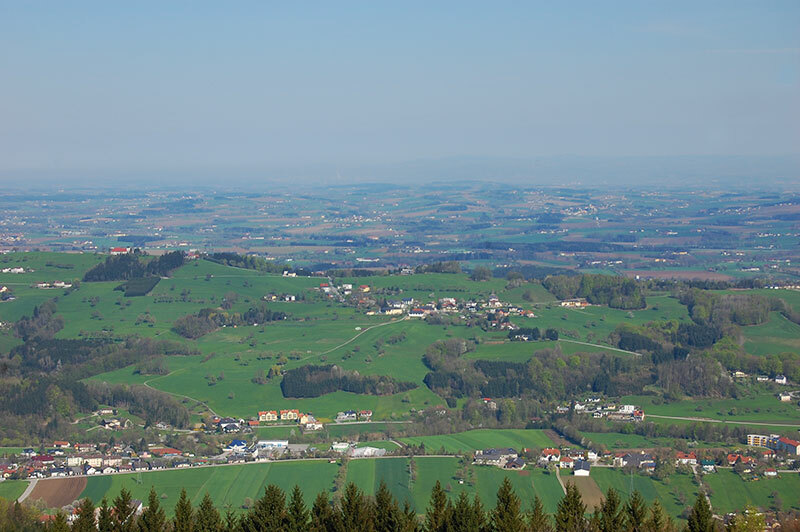 Mostviertel is a great place to hike, but if you are visiting only for a few days I recommend driving. 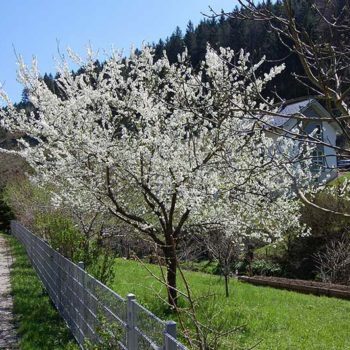 The pear trees usually blossom from mid- April to the beginning of May. 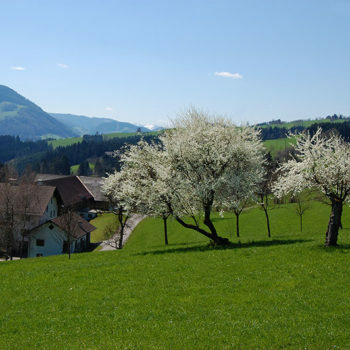 It’s a fantastic sight, when the trees sprinkle the freshly green pastures with bright white and pink flowers. 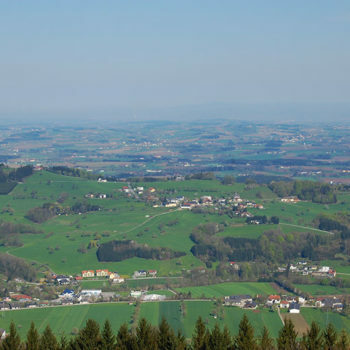 The Mostviertel benefits from both Atlantic and Pannonian climatic influences. Consequently, fruit, grapes and vegetables thrive in this mild and sunny climate. The name Mostviertel is derived from the traditional production of Perry (Most) in the region, which is just as complex as winemaking. Don’t forget to pick a bottle or two of the pear wine. 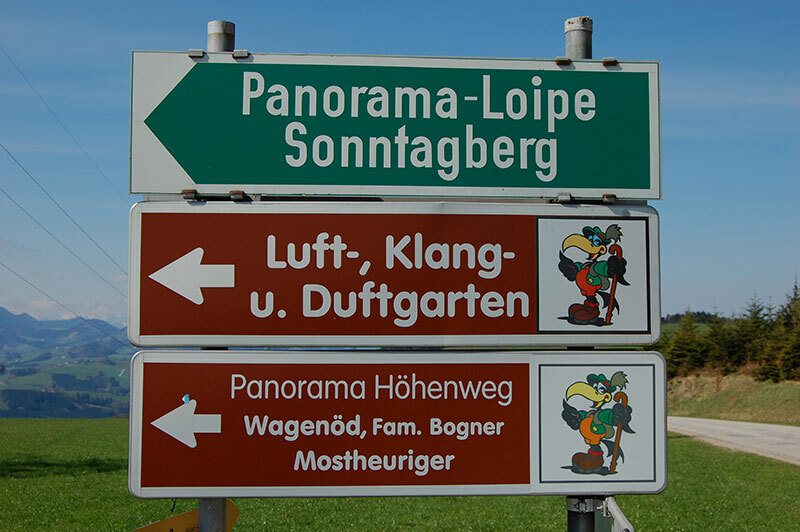 In order to cover as much of the region as I could in a few days, I chose to drive along the so-called Panoramahöhenweg (Panorama High Road). This is actually more than simply a road and more of a network of different scenic routes. 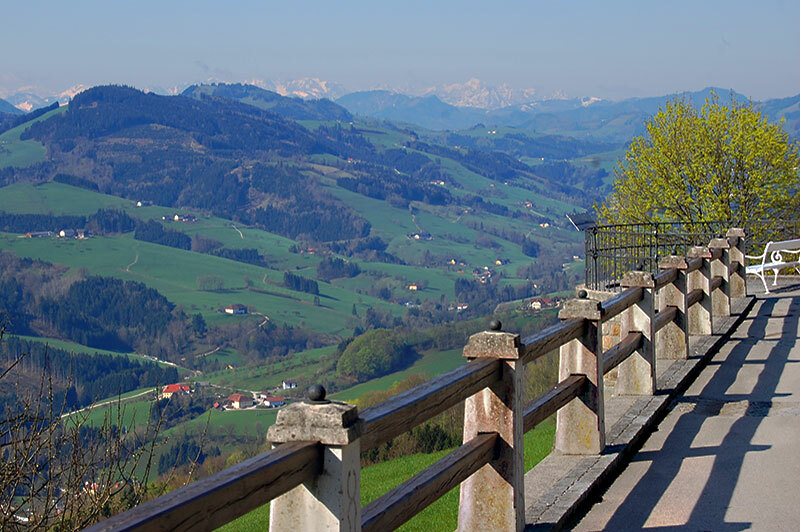 The roads take you around the most beautiful and interesting parts of the Mostviertel region. The network of small roads that connect all the farms and villages in the region, are all paved and in very good condition. 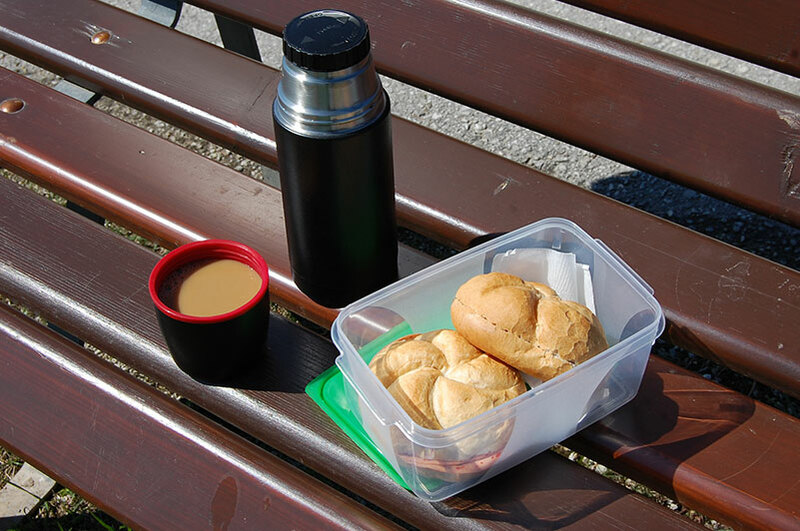 There are ample opportunities to stop along the routes, for photos and a picnic. 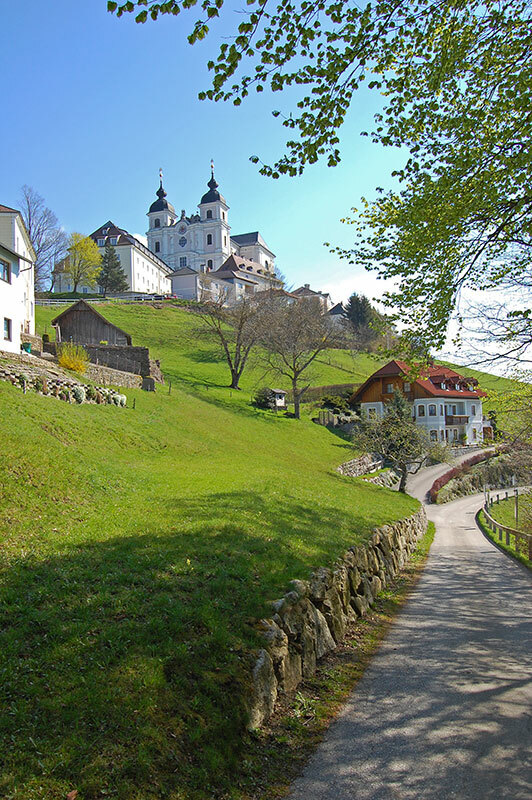 I chose the Sonntagberg Basilica as our point of departure. The Basilica is a well-known pilgrim destination and an architectonic gem by itself. 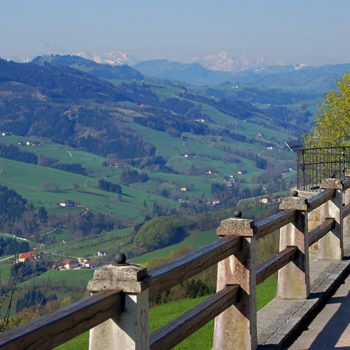 Its location on top of a hill gives you magnificent views over the region, from the Danube Valley in the north and right into the Alps in the south. 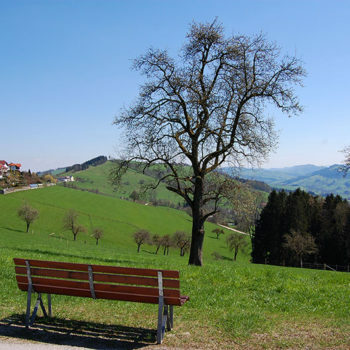 In addition to the wonderful views, you will also find nice picnic spots, farms selling their produce and eateries. 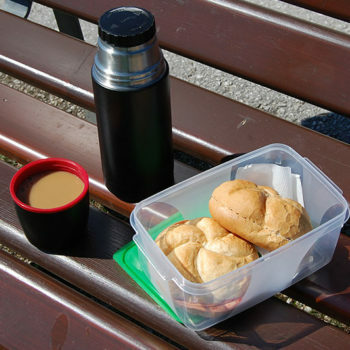 If you plan ahead, you can even order and pick up picnic basket with local delicatessen along the way. 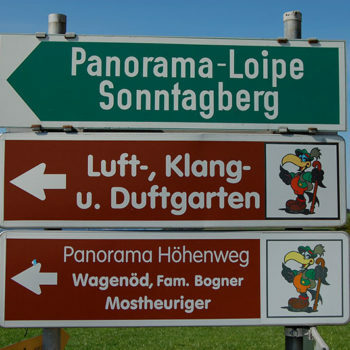 I drove to the small village St. Leonhard am Walde and from there went on Route 3 to Windhag. Just beyond the hilltop hamlet Windhag, I found the perfect spot for a little lunch break. 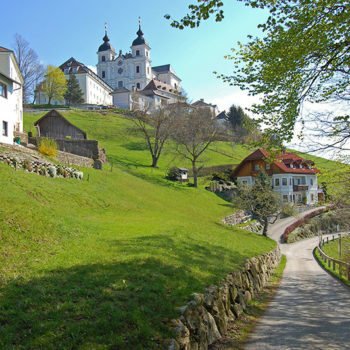 Leaving Windhag and a lovely views was not easy, but I also wanted to visit Waidhofen an der Ybbs to round of the day. 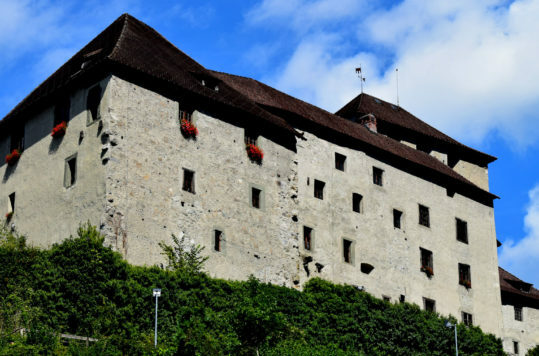 Situated on the river Ybbs, in a valley surrounded by green hills, Waidhofen has a idyllic historic centre and some interesting historic buildings, such as Palace Rotchild and the towers that used to be part of an defensive wall in the Middle Age. There are also plenty of accommodation and eataries if you decide to stay a day or two. 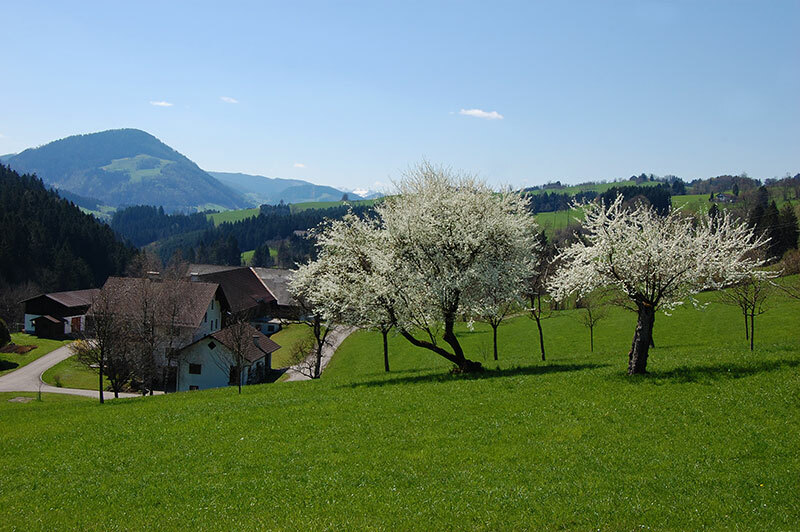 The Mostviertel is of course much more than beautiful nature and pear trees. The area offer lots of fun, from scenic flights by small airplanes to museums. Whether you prefer to stay on firm ground or enjoy more adrenalin filled activities, there is something to be had for everyone. For family fun, you can visit a llama farm, game parks or a pleasure park with a miniature railway and much more. 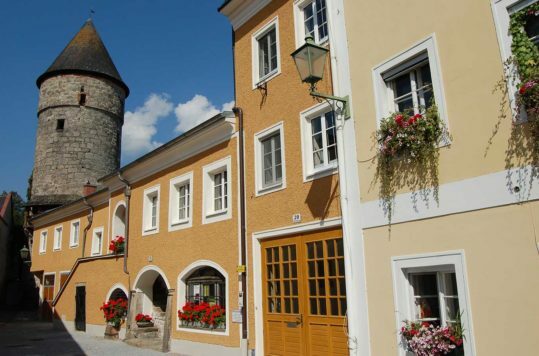 Check out the Mostviertel Tourist Office website for more info.